Merchantwise is continuing to celebrate the centenary year of May Gibbs’ Gumnut Babies with the launch of Peter Alexander’s current ‘Proud Aussie Collection’. The range boasts sleepwear for women, girls and babies to enjoy. 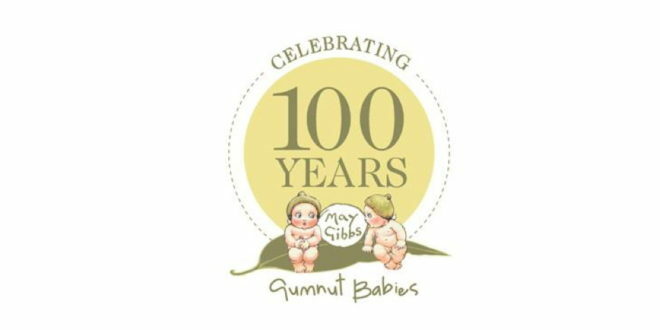 Also to mark the 100th anniversary is the NSW Registry of Births Deaths & Marriages, which has released a range of Australian commemorative birth certificates, including May Gibbs’ Gumnut Babies. Elsewhere, Scholastic is releasing the title, Tales from the Billabong, which has been inspired by the stories of May Gibbs, while Nature Play SA has created a set of outdoor activities for families with a “How to be a Gumnut Baby” list. The list encourages children to discover the magic of the Australian bush and includes a game of leapfrog in the park, discovering wildflowers and counting butterflies, as well as listening to the sounds of wildlife.